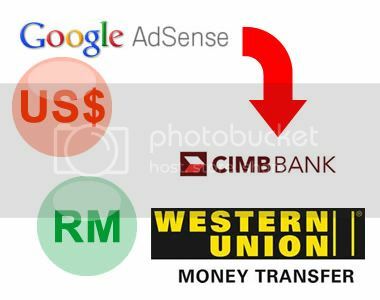 For those who making money online and get paid in US dollars will encounter losing online income this few months even you have tried to maintain your Internet earning as previous. Do you know why? It’s because of the USD/MYR drop! However, it’s beyond our control and there’s nothing we can do about it. As usual every end of the month, I will go to cash out one of my online income – Google Adsense Earning. Recently, I have cashed out USD 188.68 at 3.11 and USD 224.78 at 3.06 for the month of August and September respectively. Compared to previous month, I found that this time is the lowest USD/MYR exchange rate that I gained due to Ringgit Malaysia appreciates. Let’s have a look at my posted screenshots of my online income. So, do you want to make your own money making machine? Before you can make money from Google Adsense you don’t need to know too much or to be an expert. All you need to do is just make sure that you update your post at least twice per week. In the other words, you can write at least 1-2 articles. How Can I Cash Out My Online Income?